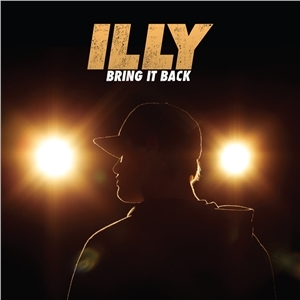 Returning with his third album, Melbourne MC Illy has created arguably his best work to date. Primarily working with M-Phazes and Trials, he’s crafted a consistent album full of quality production supported by his much evolved flow. Kicking things off is Bring It Back, a catchy opening track that features a melodic hook coupled with M-Phazes’ very polished production and strong use of organs guitars. Thundamentals make a guest appearance on All The Above rhyming over a very distinctive, funky drum loop. It’s the third verse by Tuka that steals the show thanks to his unique delivery. The third M-Phazes track before other producers are introduced is the single Where You Been which features Pez. The track works well as the two MCs have very similar stylistic approaches. There’s nothing particular lyrically interesting on the track but it works as a single due to the melody and the simplistic nature of the song. Having said that though, between his last two albums and this latest there is a huge difference in the way his songs are constructed, which a much stronger emphasis on lyricism and strong versus than melodic hooks. The production is also something that is a major assistance to Illy’s delivery as the beats that M-Phazes and Trials offer have plenty sonic depth to them. It helps that they both have fairly different styles that are distinctive in their own ways, M-Phazes with more of the 90s style soulful boom-bap sound, and Trials with the more abrasive guitar driven rock sound. Listening to the album it gives the listener the impression that Illy has made a conscious effort to improve his fluency and delivery more attention to his lyrics and less on song structure. The album’s highlight by far is the posse track 6 Shooter which features five other MCs – Purpose, J.Stark, Bitter Belief, Raven and Prime. The track would’ve never made it on his previous two albums but it’s brilliantly produced with some killer lyricism. Prime has the most impressive verse here, showcasing his witty punch lines, wordplay and sense of humour. The album succeeds in many ways and it shows a great deal of improvement from his last two releases. As well as Illy there are plenty of featured artists giving their two bobs worth on the album. It’is a departure from his recent efforts, and as a result it may convert some non-believers. It’s something that leaves you wanting more every time you hear it. You may also want to have a peek at these reviews: Thundamentals, Maundz, Def Wish Cast.